Italian club Roma is regarded as one of the most reputed club in Serie A. Though in the ongoing season of Serie A, they have no chance to win league title but finally after many speculations, Roma jumped to the UCL semi final by destroying Barcelona in the 2nd leg of quarter final. It was almost sure that Barca was going to move to the UCL semi final but at the end, Roma made an impossible things. They scored three goals against Spanish super power team Barca in the 2nd leg. 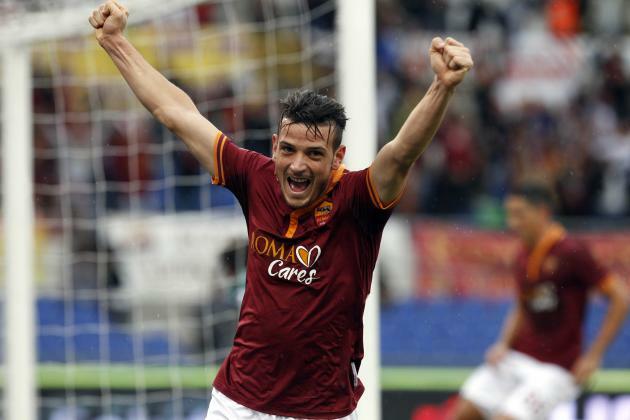 The match was executed at the home venue of Roma, Stadio Olimpico and Roma made a history at their home venue. They had no choice but to beat Barca and also had to solve the hard equation. They played amazingly in the full match and made things possible. They made a history at the ground. Their opponent Barcelona was in very good position in the whole season they played very well. In the ongoing season of La Liga, they are holding the top position on the point table. But now they are ruled out from the Champions League completely unexpectedly. It was the 1st time of Roma that they recovered their 4 – 1 goals defeat and moved to the semi final of Champions League. Along with it they have qualified for the semi final of UCL for the first time after 1983/84 season. After the embarrassing defeat in the first leg, Roma had to show something amazing in the 2nd leg. And at the home ground of Roma, they hints for the history at the beginning of the match. In the 6th minutes of the game, Dzeko found the ball into the Barca box and in the first touch he got control of the ball and in 2nd touch he found his mark in the net. In all UEFA Champions League, against Barcelona Dzeko scored three goals consecutive three matches. After they went ahead, Roma became very aggressive. They started to make attack and attack and so, Barca had to secure their defense but they failed. Though first half finished with 1 – 0 goal. In 58th minutes of the game with a successful penalty shot, Roma increased the difference. This time De Rossi was the scorer. Pique fouled Dzeko into the box and so, Roma got a penalty. Besides, the Spanish center back seen a yellow card as well. The German stopper saved Barca many times but at the end, he failed to save the 3rd goal. In 82nd minutes of the game, with a head Greek defender Manolas made the score line 3 – 0 . So, considering their away goal facility, Roma got promoted to the next level of the Champions League.